Today is National Suicide Prevention Day, Week, Month… It’s a harsh topic. Already some of you are cringing because this is not what you want to be reading about. It’s not fun, fluffy, and I guarantee it wont make you laugh. Well, man up. It needs discussed. There’s a viper that threatens to convince my daughter that suicide is the only choice that makes sense. She goes to the front lines daily to do battle with it. It’s cruel and mean. For her, she has an invisible illness that brings on her suicide battles. Her illness has a name that makes many flee, almost as much as trying to talk about suicide does. She is a courageous young woman who daily chooses to do one more day, while her mental illness rears up and tries to taunt her, hound her, chase her down and exhaust her. I can’t prevent the attacks, but I can choose to fight along side her and refuse to let her do it on her own. As hard as the battle here is, it’s frankly the easy kind. Why? Because it’s reared it’s venomous head and shown itself. I know it lurks here. I take precautions. I’m on guard. I fight for her when she is too weak to fight herself. The kind that’s a real killer is the kind that no one sees coming. I like to call them the “pressure cookers”. A silent, deadly battle is being waged, just like with my daughter, but this time there are no signs, no warning; it’s flat out of the blue. They’re terrifying. It’s important to talk about suicide, if for no other reason, you never know who is thinking they aren’t worthy of one more day, or who believes they can’t fight the battle one more time… because they think they are alone in it. Then there’s this kind: The kind where it seems someone is getting help, things are bouncing back, when really it lies hidden, waiting; waiting for the chance to strike. There is one suicide I think about every single day; my dad’s. I think of it each time I look into my daughter’s eyes. Oh, no, you’re right…He’s still here. My dad din’t commit suicide. I am one of the lucky ones. I know two friends who were not as lucky as I. Their dads did commit suicide. Watching the hell they went through… geez, there are no words. I had none to give them then, none that worked, nor did anything to dull the pain. 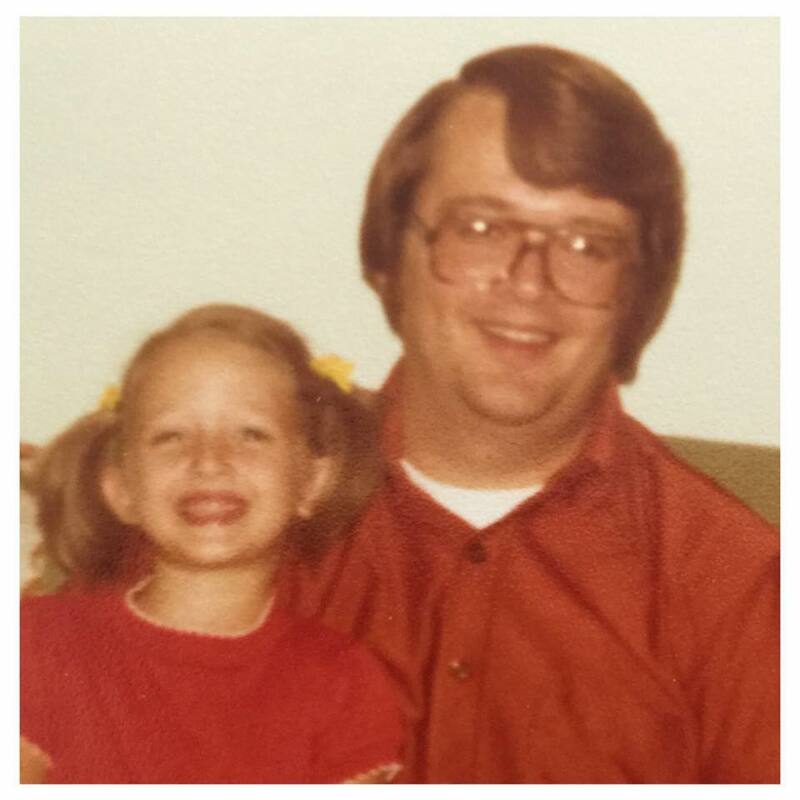 I even walked away feeling guilty, in some odd way, because I realized I was thanking God that somehow my dad saw through his pain, to a fraction of a moment of clarity, sought a ragged edge to cling to and held on for dear life. My dad had a plan of how, and when, he even had a couple plans, but he didn’t go through with it. I thank God for preventing it. I can do that. Really though? Dad had to make that hard choice. He had to choose to do one more day. He had to want it, enough to do it for just a little bit longer. He was one of the lucky ones who had people who heard cues and noticed changes in behavior and were MORE stubborn than he was… and insisted on help. Not everyone is as lucky as we were. Some people show zero signs. It’s true. Then there are subtle ones that if left alone and unchallenged, to them it looks like that green “go ahead” light when right there on that edge, barely hanging on. My dad has been a minister all of my life. I am 41 years old. I was born into a life where the phone ringing at 2 am meant a crisis and my dad would be moving in pastor mode instantly. 40 some years of some very intensive situations, counseling, funerals, church politics (every bit as nasty as the government kind), and yes, all the joys thrown in too, it all adds up to some really exhausting mental overwork. My dad is a chronic workaholic. The good kind in that he is always pushing/needing to do more for people. He sees how he can do one extra thing, so he insists to himself that he do that. Truly it’s wonderful… but intensely taxing. At one point he was so mentally tired he simply burned out. He was so tired he could not even decide what to eat for lunch. It broke him. It broke him in a way that scared the hell out of me. The details are long, complicated, and not important. What is important was one conversation he had trouble having. It was a conversation we frankly DIDNT have. It was what wasn’t said that was so terrifying. He took me to lunch one day on a break from my job. Pizza buffet. He didn’t eat. He picked at his food. Stirred his Pepsi with his straw. Swallowed his words. He clawed his way through that conversation, words fleeing in distress. What little he did spit out was fragmented. His eyes were hollow but watery. Haunted. He started and stopped so many times; I already knew. I knew what he couldn’t say. But he NEEDED to say it. “I thought about just getting in the car, just driving. Not stopping.” I just looked at him. I had no response. I’m not sure if I was supposed to. Any hunger I had was long gone. Did he know I didn’t know the right words to say? The ones he needed to hear? 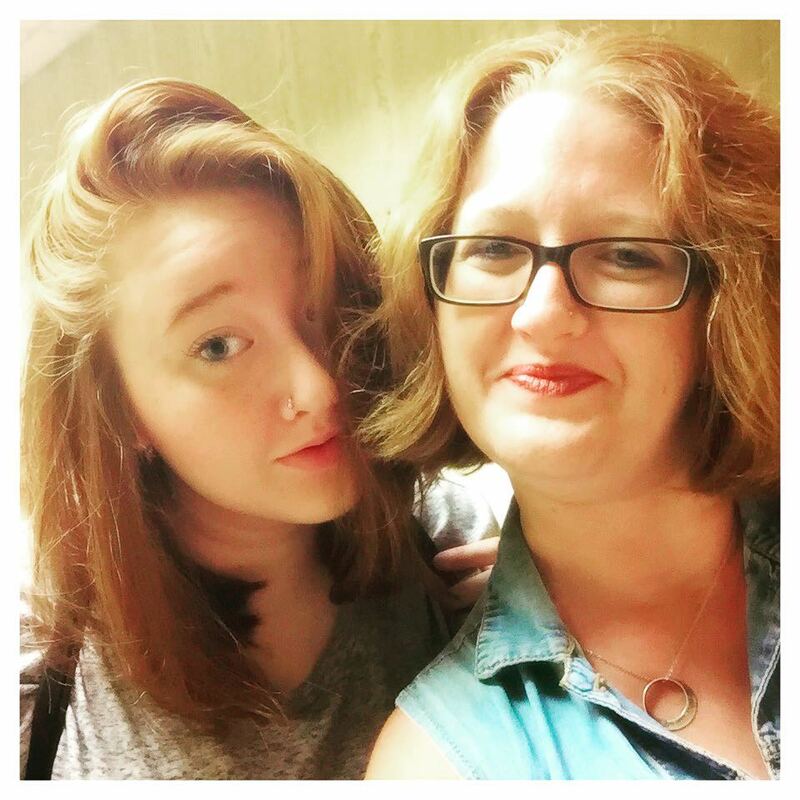 I was pregnant with my oldest. My redheaded and freckled, Lindsey. My very first baby. I went from the pure joy and happiness of knowing she was there with us, to the thought of my dad never seeing my first child… It nearly undid me. That moment was the first time suicide touched my life. It was the first time it became real. It wasn’t a statistic, or a story someone told, it was live, before me, and I didn’t have any answers. I said something ridiculous. I am sure of it. I spent more time internally praying my heart out over my dad than I did voicing words aloud to him. I just let him talk. I don’t know if he walked away that day “feeling” like he could do one more day or not, but he did. Then he did another. Then another. Later my dad would tell me that it partially was Lindsey coming into this world that saved him. That knowing that he would miss out on being a grandpa, holding that first baby, my newborn child, to look into those brand new eyes and see an untouched soul…he knew he would keep doing one more day till he could do that. Then he would decide from there how to do the rest of the days. He is still here. It’s now 17 years later, and he is now helping me do battle for my daughter and saving her from herself. Someday I pray we have a story to tell about what her “one more day” moment was. This tattoo on my wrist? It also has a shadow effect. It has hidden meaning for me. For every person who battles the thought of doing “one more day” and wondering if it’s worth it, there is someone who needs to stand up and say, “I got your back.” My middle child, and second daughter, Allison and I both have shadows in our tats. Lindsey’s is singular. We have her back. We’ve got her, no matter when she needs us. I had my dad’s back. He knew it, even if it was hard for him to ask for what he needed to hear. He knew just looking into my eyes that I saw him. I don’t know. Maybe that was enough, that day. If you are ever even considering suicide, I promise you, there is someone who wont want that… someone will have your back too. Don’t tell me I am wrong. Just trust me on this. Reach out, even if it is to an online group, make a phone call to a hotline, or just find someone who has kind eyes, tell them you know this sounds crazy, but you somehow know you are sposed to talk to them. Please just do that first, before you do something else. Okay? There’s a suicide prevention/awareness group called “To Write Love on Her Arms.” They are a non profit organization that raises awareness for those who self harm and struggle with addiction and thoughts of suicide. 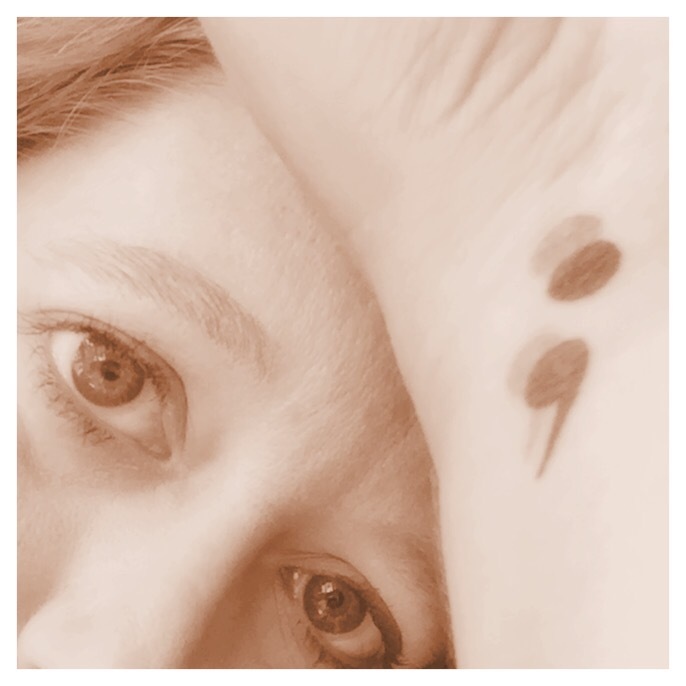 My daughter struggles with self harm and in addition to the semi colons we got, we three got tiny hearts on our arms… because I wanted to write LOVE on my girls arms, so that they always knew that no matter where they went, how far they go, my love is always going to be right here for them, never ending, no matter what. I will always have their back. It will NEVER change. I don’t care what they do… They can always depend on me being that one person they can be sure will aways want them around, one more day. It’s always so interesting to hear other people’s stories. You are a strong woman and your family is strong as well. To have to hear your father speak those words and then to stand and fight alongside your daughter and for your daughter has such an ironic strength to yours and Lindsay’s journey. Her battle has been heating up lately, and I get scared. A lot. For some reason I felt compelled to sit down and capture this. Thank you for your words. I do not feel strong. I feel scared and weak and all thumbs. I also know that choosing not to do anything is not a choice. My parents recently moved to Texas to retire. But today I got to hug them as they flew in for a funeral of a dear friend. My dad is coming out of retirement and will do the service for one of their best friends who lost her battle with cancer. Everyone does hard things. They just look different in each of our lives. We rise to what’s asked of us. If we listen. The key is to listen. Thanks again. The nights are long. Your words helped.